With 2016 coming to a close, now is the perfect time to reflect on the important things in life. No, we’re not talking about family milestones or global warming or the wall that will inevitably separate us from Trump’s ‘Murica. We’re talking about the most important of all — movies. And here at Tribute.ca, movies are our unique speciality. After some extensive number crunching, we’ve decided to count down the movies that caught our users’ eyes the most during this wild ride of a year. From flicks about a man trapped in the wild to a group of criminals turned government operatives, there are a couple of critical darlings (#1), a few box office hits (#3), and one or two we’re sure will surprise you (#9). 1. The Revenant. No surprise here. Coming in at number one is the movie that finally earned Leonardo DiCaprio his long-awaited Oscar. Directed by Alejandro González Iñárritu (who won his second Best Director golden statuette), The Revenant follows a man (DiCaprio) who is left for dead in the wilderness by his fellow hunters. For about seven months (September 2015-March 2016), literally no one, including Tribute.ca users, could stop talking about this man-versus-nature epic. 2. Deadpool. Five years after the disaster that was Green Lantern, Ryan Reynolds finally found his comeback vehicle in the form of Deadpool, the raunchy superhero comedy about a former cancer patient and mercenary turned wise-cracking superhero. Audiences (including Tribute.ca users) flocked to the theater (and movie page) to see the atypical action reboot with more blood, guts, f-bombs, and Golden Globe nominations than any of its Marvel/DC contemporaries combined. 3. Zootopia. Zootopia has the impressive distinction of being the third-highest grossing movie of 2016, so no wonder it’s also at the top of your list of movies to seek out on Tribute.ca. 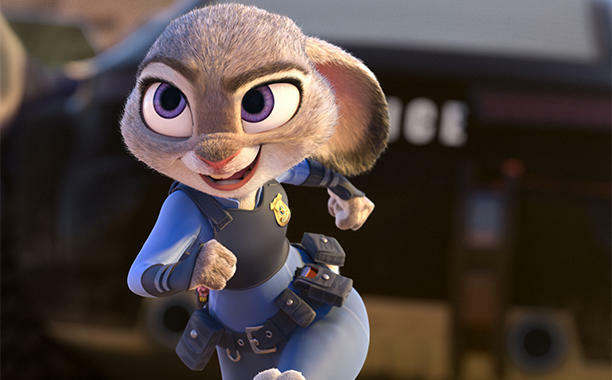 The socially conscious animated comedy, which follows a rookie bunny police officer (voiced by Ginnifer Goodwin) new to the roaring metropolis of Zootopia, has earned incredible critical and commercial success since its release in March, with a Critics’ Choice Award, a Golden Globe nomination, likely a soon-to-be Academy Award nomination, and over $1 billion dollars at the worldwide box office. 4. The Accountant. In the weeks approaching its October release, people really seemed to wonder whether or not The Accountant was actually worth watching. With strong marketing, a stellar cast led by Ben Affleck and Anna Kendrick, and Warrior‘s Gavin O’Connor as director, the thriller looked to be a surprise hit of fall 2016. However, somewhere along the way its upward climb seemed to stall, ultimately underwhelming critics and moviegoers, but its buzz-worthy start (good trailers, good concept, No. 1 debut) may just be what attracted Tribute.ca users. 5. Suicide Squad. The year-long, non-stop buzz surrounding Suicide Squad was sure to cement it as one of the most-talked-about and oft-searched films of 2016. While it lost momentum after a bad review or two, the superhero comedy still managed to catch moviegoers’ attention, raking in a total of $745 million around the world. Directed by David Ayer, the film stars Will Smith and Margot Robbie as two in a group of criminals tasked by the government to fight against threats to the country, namely the Joker (controversially played by Jared Leto). 6. The Jungle Book. Directed by Jon Favreau, The Jungle Book, which cost a whopping $175 million to make, had a lot riding on its success when it hit theaters in April. But with the star-studded vocal talents of Bill Murray, Ben Kingsley, Idris Elba, Lupita Nyong’o, Scarlett Johansson and Christopher Walken, the part live-action/part animated adventure was armed and ready to become one of the biggest films of the year. And of course, it was. During its 24 weeks in theaters, the remake of the 1966 classic took home just under $1 billion, sitting pretty as the fourth highest-earning film of the year. 7. 10 Cloverfield Lane. Strong word of mouth, a super cool trailer, and a great cast are just a few reasons why 10 Cloverfield Lane became a sleeper hit of 2016. Earning back more than seven times its tiny $15 million budget, the sci-fi flick is the “blood relative” to the 2008 hit Cloverfield. This time the film follows a young woman (Mary Elizabeth Winstead) who wakes up in a cellar with two mysterious men (John Goodman, John Gallagher, Jr.) who claim the Earth is gone after a chemical attack. Now she must decide where she is safer — inside or out. Include “unique concept” as another reason. 8. The Secret Life of Pets. In case you didn’t know, kid-friendly movies with talking animals make up four out of the five top-grossing films of the year, and along with our previous two entries, The Secret Life of Pets is one of them. Earning over $875 million at the worldwide box office, the animated comedy about a dog (voiced by Louis C.K.) and his adventure in the big city really caught on with humans in all walks of life, including critics, audiences, and Tribute.ca users. 9. Eye in the Sky. The most unexpected entry on our list, the thriller Eye in the Sky had Oscar winner Helen Mirren starring as a military intelligence officer who must remotely command a top-secret operation to stop a terrorist group in Nairobi, Kenya. Obviously this role was a bit of a departure for the actress who is best known for playing Queen Elizabeth II. Add in widespread critical praise and a supporting role by Jesse Pinkman a.k.a. Aaron Paul as well as Oscar nominee Barkhad Abdi‘s second feature film appearance, and this may just explain why Tribute.ca users were so curious to know more about the obscure war drama. 10. Sully. In hindsight, it’s only natural that moviegoers would flock to a film directed by Hollywood legend Clint Eastwood, starring America’s sweetheart Tom Hanks, and following the true story behind Chesley Sullenberger, the pilot who saved 155 lives in January 2009. But considering the movie released in September, the “box office dead zone,” it could’ve easily gone the other way for the critically acclaimed biographical drama. However, despite its less-than-desirable release date, Sully still earned the fifth-highest September opening weekend, eventually bringing in a total of $228 million.